Kentucky has always been a hot-bed for Bigfoot activity. Last year there were quite a few reports that came out of the bluegrass state. And this year appears to be no different. 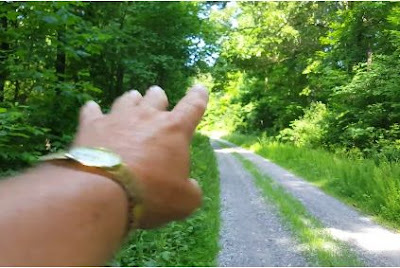 In this video, Bigfoot researcher Don "Biggyfoot" Neal, investigates a new sighting in Hopkins County, Kentucky. "My report made on Wednesday 6/22/16 of a Bigfoot sighting that happened on Thursday 6/9/16 in Hopkins County, KY. A woman spotted a Bigfoot at 9:00 am while traveling down a small gravel country road. Her husband didn't see the creature but heard something running away that sounded like a Bulldozer crashing through the woods."